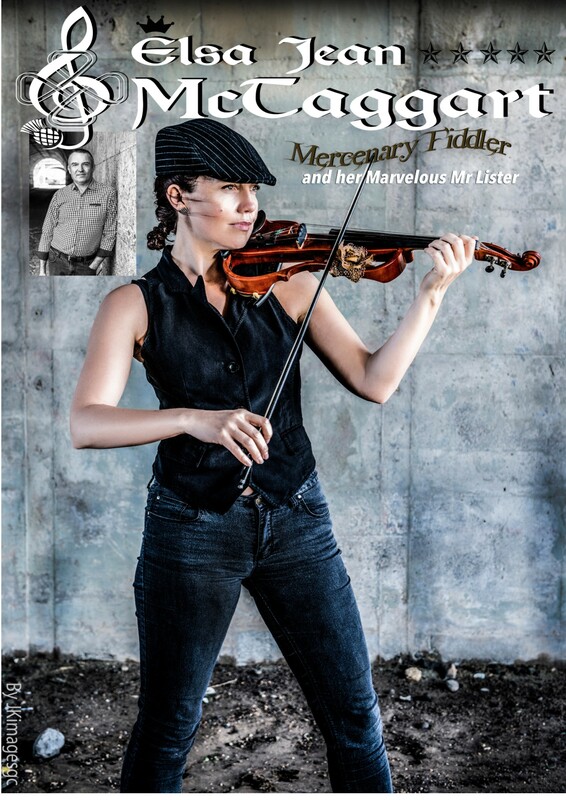 Multi-instrumentalist (vocals, guitar, fiddle, penny whistle and button box) singer/songwriter Elsa Jean McTaggart brings you a fusion of fiddle show-stoppers. Garnering 5-star reviews, Elsa’s original music with charming anecdotes and legendary folk songs make her a hugely popular performer amongst audiences the world over. Elsa is no stranger to the stage. Hailing from an artistic family (Elsa Jean McTaggart is the great-grand-daughter of the Edinburgh-renowned artist William McTaggart) she paints pictures with words, music and song. This upbeat show is sure to have you dancing in your seats! Elsa is returning to tour Scotland following a sell-out European tour. She is accompanied by Gary Lister on piano and piano accordion. “Elsa Jean McTaggart is a Scottish Superwoman of acoustic music. With her fabulous vocals, masterful ability to mix traditional folk with jazz and electronica and amusing anecdotes ignites the room with her awe inspiring mastery and passion for music of all genres”.